Arriving into Katowice, Poland, host city for COP24, you were immediately struck by the obvious conflict at the heart of the United Nations climate talks, as sulphur tinged particulate matter began to assault your airways. Poland chose Katowice as the host city precisely because its location at the center of the Silesian coal and industrial region would bring into sharp focus the trade-offs to be made by policy makers pursuing radical transition from fossil fuels. Some 48,000 Poles are estimated to die annually from illnesses related to poor air quality. Poland is home to 33 of the of European Union’s 50 dirtiest cities. At the same time, according to Euracoal, the Polish coal mining industry provides around 100,000 of the 185,000 coal mining jobs in the EU28. These coal workers are represented by powerful trade unions pushing back against energy sector reforms. For public health and for the climate, Poland needs to urgently transition from a fossil fuel based economy to one based on renewables. Yet the Polish government wants to ensure a "just transition," where the rights of workers and communities are respected, with alternative, well paying low-carbon jobs assured for those who want them. Our primary research focus is the impact of climate change on financial markets. Our latest report, Powering Down Coal, explores the global asset level economics of coal generation, demonstrating when coal units should be phased out consistent with the economics of renewable energy cost parity and the climate goals set out in the Paris Agreement. In short, how do we attain the least cost renewable energy alternative to fossil fuel generation globally? About 3.5 billion tons of coal is currently burnt globally for power and heat every year, contributing to 45 percent of the world’s emissions. Stopping new investment and unravelling old investment is therefore critical to the success of the Paris Agreement on climate change, according to Nick Mabey, director of the climate change think tank E3G. Speaking at a Powering Past Coal Alliance (PPCA) forum on Thursday 13 December, Mabey said commitments and promises were not adding up. “We will all need to get off coal if we are to meet the ambitions of the Paris Agreement,” said Catherine McKenna, the Canadian Environment Minister who spoke at the event and is leading the PPCA with her United Kingdom counterpart, Claire Perry. The PPCA, which promotes switching from coal to clean energy, is made up of states, regions and cities. 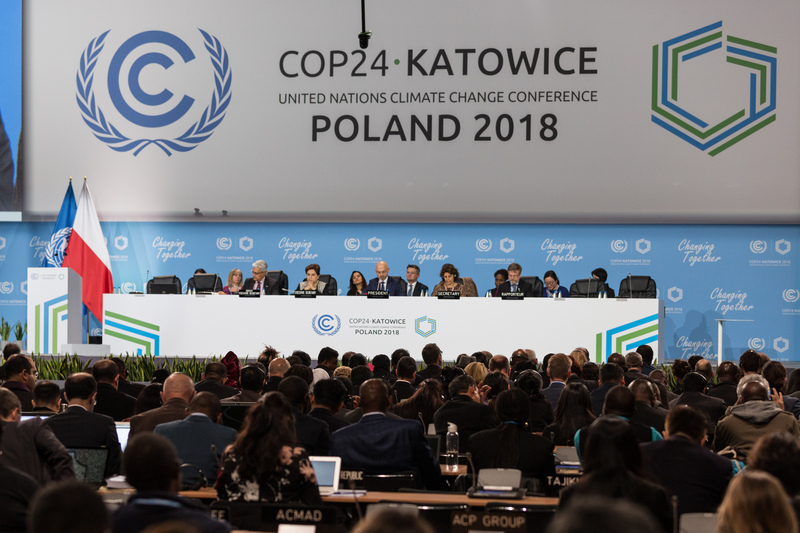 Ireland joined earlier this year and Senegal, Israel, Scotland, the cities of Melbourne and Sydney, and Scottish Power were announced as new signatories during COP24, bringing the number of members to 80 in total. Carbon Tracker’s contribution to the PPCA debate, in the form of the global coal portal and Powering Down Coal report, launched at the U.K. Pavilion provides a global blue print for governments, civil society and investors to phase out coal in a manner consistent with Paris. Despite the promise of Katowice, which hinted at difficult conversations between coal dependent nations such as Poland, Germany, India, China and Indonesia and climate policy makers – agreeing on concrete plans for coal phase out remains the elephant in the room, as the rapid deflation in the cost of renewables increasingly represents the lowest cost energy option for developing nations. The PPCA deserve significant credit for sparking a difficult conversation and bringing states, regions, cities, and business to the table in a rapidly growing alliance. Carbon Tracker sees the transition off coal power as a collective action issue, which will require policymakers, investors and civil society working together. Initiatives such as the PPCA and CA100+ offer promise in this regard. However, a requisite for an effective collaboration between policymakers, investors and civil society is data – and, in particular, data which transparently articulates the economic and financial risks of not shutting coal in a manner consistent with the temperature goal in the Paris Agreement. Carbon Tracker is looking forward to working with PPCA and CA100+ as well as our local partners 2019 to showcase how our analytics can help humanity embrace the low cost renewables revolution. Our below 2°C scenario finds around $267 billion of stranded asset risks globally, which should help focus the minds of government policy makers, investors and civil society to agree an orderly and just transition beyond coal. Previously published on Carbon Tracker. Joel Benjamin is the Social Media and Communications Associate at Carbon Tracker. Joel has experience in social media, research and journalism – with work featured in C4 Dispatches, The FT and BBC.